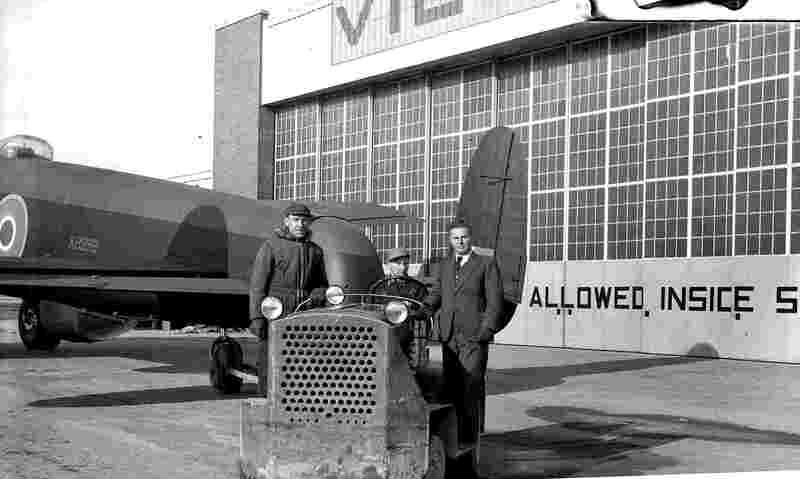 March 9th 1945, serial number KB999 is towed out of the end of the assembly line at Victory Aircraft, Malton Ontario. As a World War I ace AVM Mike McEwen had seen action in the air, and was not above going on operations during this war. Even though he was AOC of Group 6 this did not stop him from flying on a number of operations. The addition of "Mike" to Malton Mike, came about from one of his visits to Victory Aircraft. Malton Mike did take part in operations with 419 squadron. 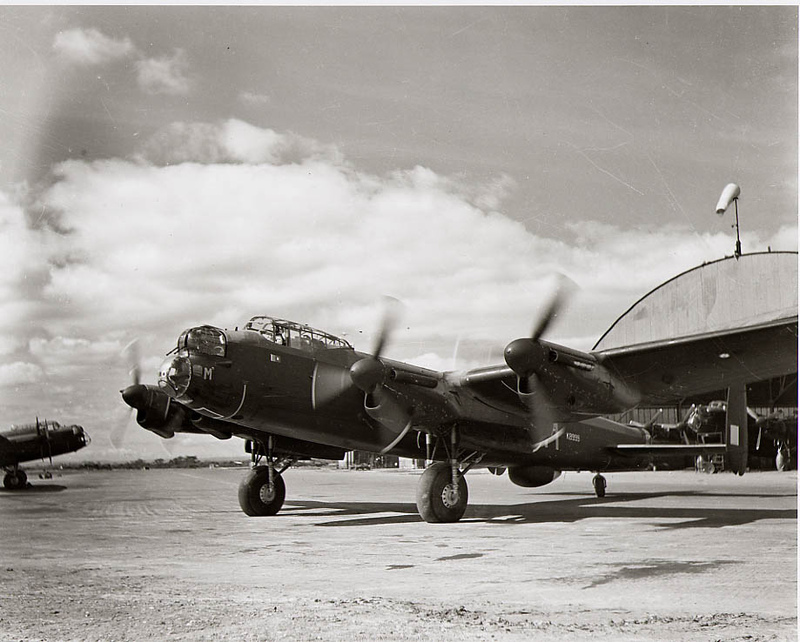 Noted in some references as not having been on any operations, KB999 was indeed on two squadron operations. 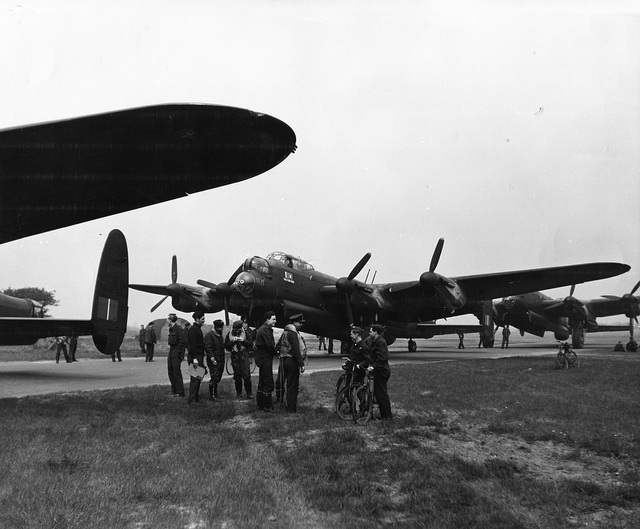 On April 22nd 1945 with S/L Watts at the controls KB999 was part of a raid on Bremen, which was aborted before completion of the raid. 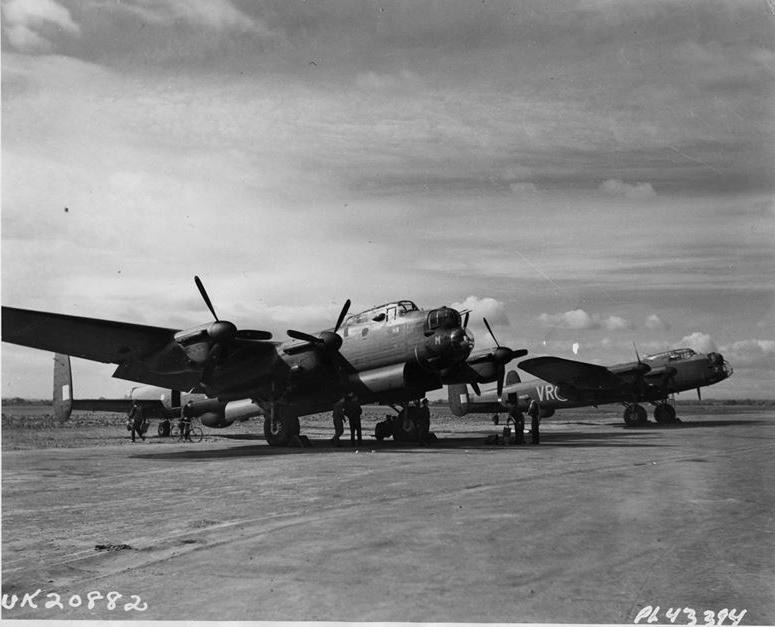 On April 25th 1945 Malton Mike with S/L Hunter at the controls completed the squadrons last operation which had been on Wangroon. 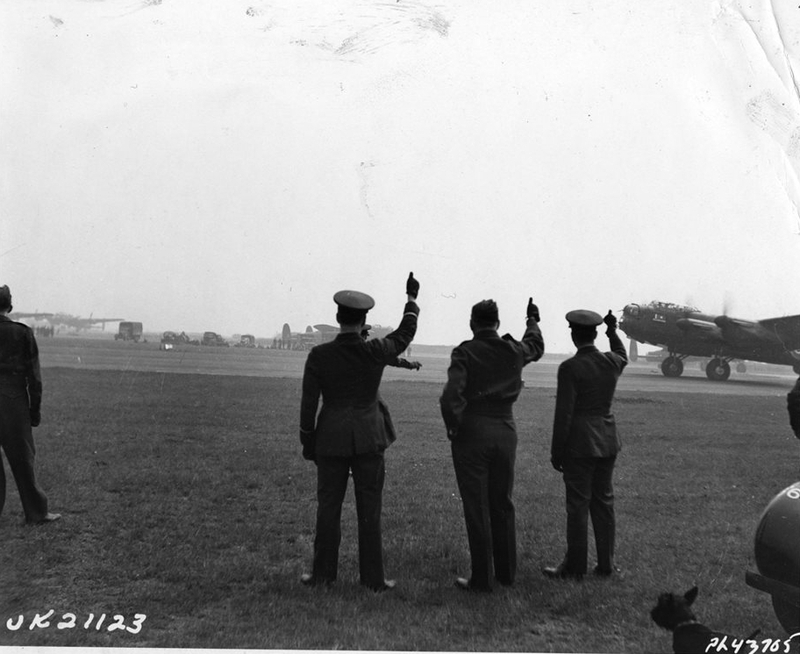 KB999 was issued to 405 Squadron, retained the "-M" code and was returned to Canada on June 19th 1945. Air Vice Marshall C.M. 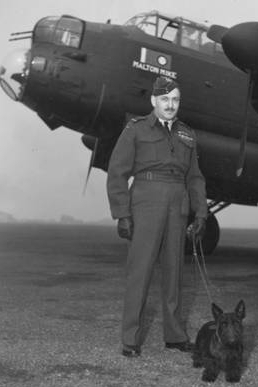 Mc Ewen, with his dog Blackie ("Blackie" was McEwen's nick name also)flew home on KB999, no mention if he spent some time behind the controls or not. 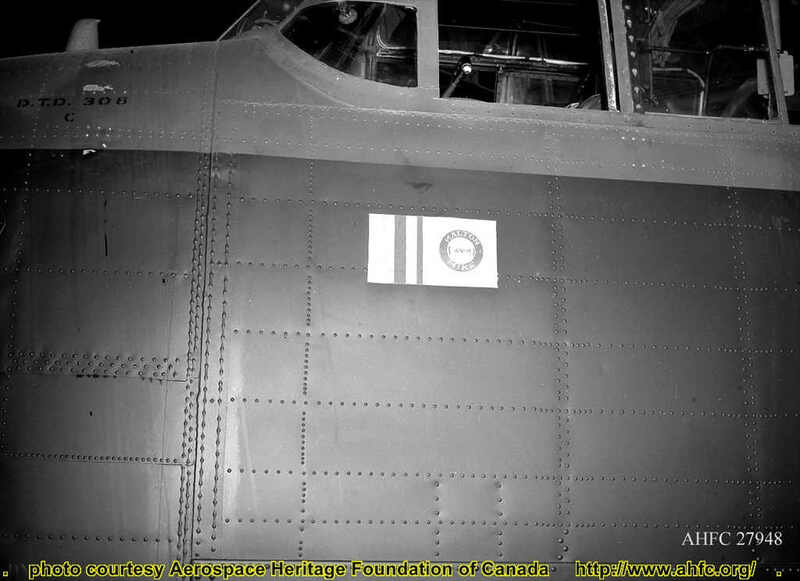 Thanks to Aerospace Heritage Foundation of Canada for use of the photos. And photos from National Archives.